What Is Thalassemia and How Does It Affect Your Life? Imagine being constantly tired but no amount of sleep helps. You never have enough energy, but you’re not hungry. Sometimes, your skin turns yellow. You seem to get sick more often even though you try to be healthy. And as you grow up, you notice other kids growing taller and stronger than you, and you aren’t sure why. This is what it’s like for kids who grow up with thalassemia major in India and other nations in Asia and Africa. The blood in people who suffer from thalassemia doesn’t make enough red blood cells or hemoglobin. It’s a genetic disease, not a contagious one, and it has many different variations, including major and minor versions of both alpha and beta. One variation is extreme and leads to early death. But most of them can be lived with – but only with proper and ongoing treatment. If untreated for too long, thalassemia can cause an enlarged heart, liver, and spleen. Many thalassemia patients have had their spleens removed. The milder forms of thalassemia are like mild anemia, and don’t have any symptoms. 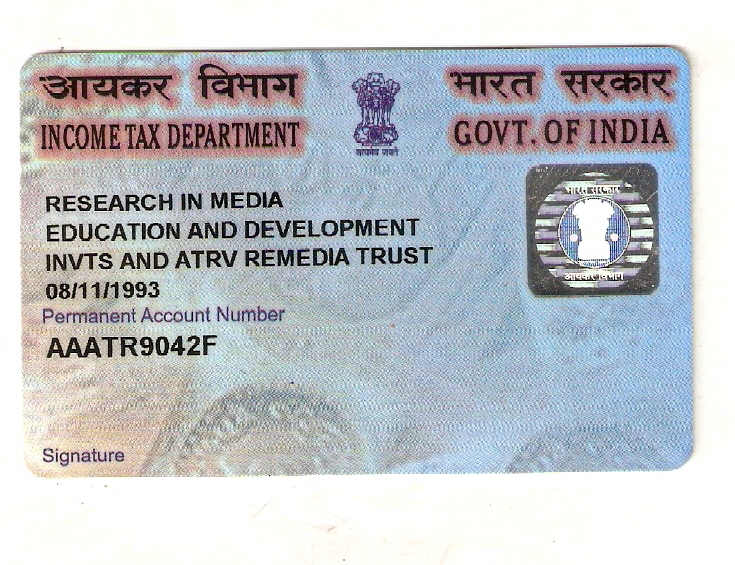 The more severe forms cause major problems. For more symptoms of thalassemia, go here. Here’s how one mother, Tanusree Das, describes how thalassemia affects her son Sougata and their family. When we first came to know about this disease we were mentally shocked. The financial condition of our family is very poor. My husband is a van puller. Anyhow we meet our daily ends. How could we provide our only son the expensive treatment required for treating this fatal disease! It was just impossible. We put our shoulders to the wheel to increase our earnings. I started making paper packets at home. My husband toiled day and night to earn more. We are undergoing his treatment in Kolkata Medical college. Last year it became necessary to have his splenectomy done as he had a much enlarged spleen and his blood requirement had increased badly. It was very hard for us to arrange so much money needed for the operation. 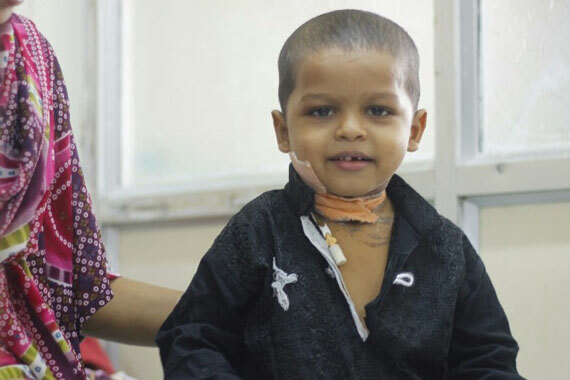 Funds from India’s Kids helped him undergo splenectomy. Whenever we face blood crisis in the blood banks, it is my mother in law who donate blood for my son. It is really dreadful to think how we can carry on this prolonged treatment with this little earning. We shall be ever grateful if we are provided with a bit financial assistance so that we can manage to give our son a longer and healthier life. Because the blood continues to not produce enough red blood cells or hemoglobin, people with thalassemia need regular blood transfusions of healthy blood. Over time, their own deficient blood eventually replaces the healthy blood, and they need more. One problem of too many blood transfusions is that iron builds up in the body. Too much iron can damage the heart and internal organs, and leads to early death too. But left untreated, thalassemia itself can cause early death, often before age 30. So if you do nothing, your heart and liver can fail. But if you treat it, your heart and liver can still fail, but for a different reason. That’s why you have to add an additional treatment step called ‘chelation’ to remove the excess iron. With these combined treatments, a thalassemia sufferer has hope to live a regular life span. This is our goal – to give as many kids with thalassemia as possible the chance to live a full and normal life. Also, if detected early enough in childhood, some forms of thalassemia can be greatly reduced with a bone marrow transplant. But in general, this disease has no cure. The worst risk from thalassemia, as you probably already guessed, is getting another much worse disease from a tainted blood supply. In India, this is a huge problem. Many thalassemia patients, like 6-year-old Ishita Malik, also now suffer from Hepatitis C. Others have contracted HIV. So it’s not just about helping the poor kids pay for their transfusions and chelation. It’s about donating healthy blood in enough supply that they don’t have to worry about getting new diseases. It’s hard to put into words how terrible it is to watch these kids suffer. It’s not just the physical suffering, the lost energy, the weak immune systems, and the new diseases they get from tainted blood. It’s also the social isolation. The blame they and their parents get for a disease they didn’t ask for. They are made into outcasts. They are rejected by the mainstream culture. And all this can be prevented! All we have to do is provide enough funding to get them the treatments they need, and these kids can lead normal lives. If they had more money, they could do it themselves. But their parents, like Sougata’s father, have to work day and night simply to survive. And the expensive and ongoing treatments thalassemia demands simply make it impossible for them to keep up. The result? Their kids suffer and fall behind physically and socially, and they miss lots of school because they continue to fall ill. It’s tragic and completely preventable. It’s a hard disease for people in Western nations like Britain and the U.S. to understand, because the genetic component of thalassemia has confined it mostly to regions in Asia and Africa, and certain Mediterranean countries. But as people move and migration becomes easier in the modern world, thalassemia is stretching its boundaries. If you haven’t heard of it before, you will someday. Don’t let this treatable disease stop kids from living the same kind of life you and your kids have lived. All it takes is about 30 British pounds for one blood transfusion. An average patient needs about 20 of these per year. 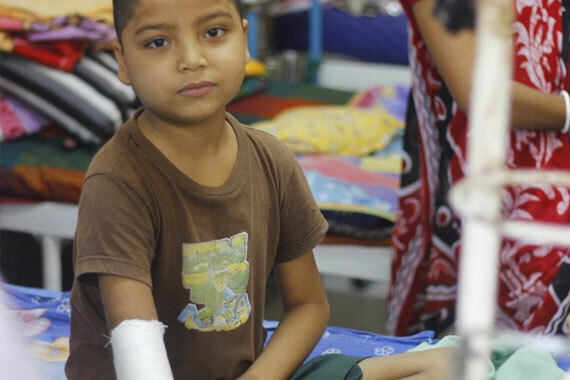 If you give 30 pounds per month, you’ll make it possible for one of India’s Kids to get most of the transfusions they need to have a normal childhood and grow up like all the other kids. 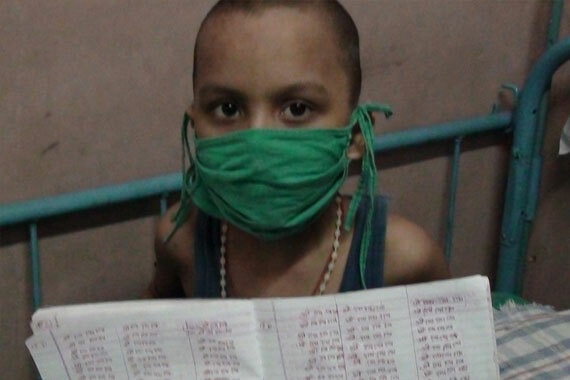 Will you help slow this treatable disease in India’s Kids?